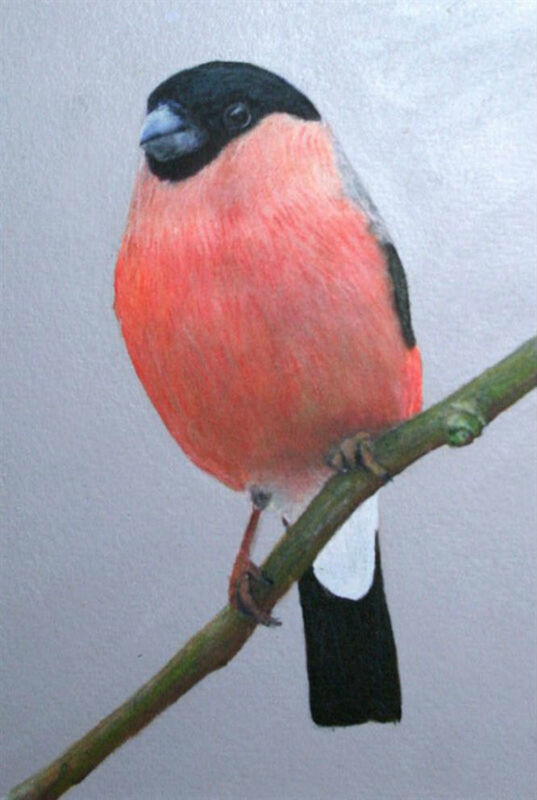 In this painting the Bullfinch looks more stealth like than the image with the fluffed out plumage. The male Bullfinch has much more vibrant chest colours his female equivilent. This too was painted in inks and watercolour pencils, on Langton prestige watercolour paper.